I didn’t realise Tara Thomas was also writer Tara Sue Me, I’ve enjoyed some of her early Submissive series. Its a good idea to have two names for different genres because this ( these) feel a very different sort of read, and readers who auto buy when they see a name could be disappointed. Having said that I like all sorts of genres, but no author is auto buy for me, I have to see book description first, unless its an essential series I’m reading. 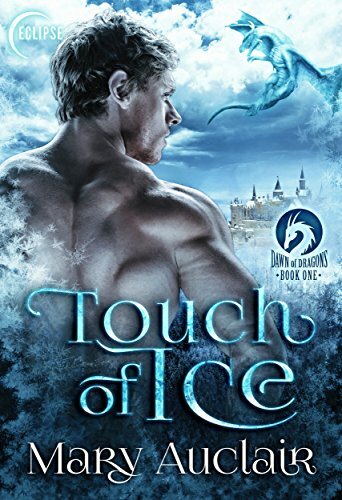 So – This book….well, the romance was OK, but I did feel it went from 0 to 100 very quickly given the way they parted and the length of time since they seen each other, but then again the situations, the dangers, kind of pushed that forward. Tilly was in a tough place, had been for so long but…it always amazes me how in books these rich people go from having everything to having nothing. I know her dad was framed but surely they had money put aside. Do these people always spend every penny they have? Because they always end up as almost trailer trash, having lived as kings for so long, and I can’t help thinking, what happened to all that money they had? It crops up so often in novels…still, it left Tilly in the place she needed to be for this story. I liked Keaton, didn’t really understand the family dynamics though. Maybe if I’d read the prequel novellas that would have been clearer although from descriptions I’m not sure how they fit this story. I love a character like Elise, self entitled, indulged princess, but I did think the brothers let her get away with far too much, and I’d like to know just why she was so fixated on Keaton, other than family expectations. Her actions didn’t really add up to the person she seemed to me. Then there’s the suspense angle with The Gentleman, and Jade/Kada. Its pretty clear – I think – who Jade is, though that could just be a clever red herring, but I’ve no idea who the Gentleman is. I have no idea what his motives are either, money seems to be coming from his illegal enterprises but he’s fixated on the Benedicts, and seems to want revenge on them for something. Somehow for me this mix of romance and suspense didn’t work very well, didn’t fit together properly. It felt like two separate stories which had a tenuous connection, and intersected occasionally. Then throw in Elise and its like – how many things can happen to one family within a few weeks….In a way for me it would have been better to have left Elise out and concentrate on the Gentleman/Jade or leave them out and concentrate on Elise. It just didn’t seem believable to have both in one story. I read the sample of book one and felt I enjoyed the authors writing style, so requested this. Really enjoyed it, might buy book one too when my TBR pile goes down. It started well, and I thought I knew what was going to happen but…I was wrong. It took a different direction, and I really enjoyed being surprised. I loved Nate, such a great father to Aiden, but his reactions to Ilke’s news wasn’t great. Then again it was a shock, and Ilke’s ideas about what to do were a bit different! I wasn’t so sure I liked Ilke at first, she seemed very closed, very cold, but when I knew more about her upbringing my heart ached for her. What an awful thing for a child to have to deal with, and no-one to help her. Its not surprising she has the view that getting close to people hurts,m that you can’t rely on anyone else. Her and Nate are so opposite in so many ways and yet the chemistry between them sizzled, and slowly they were drawn together on a level about just the physical. Once more though the story held lots of surprises, plots took unexpected directions, things cropped up that I just didn’t foresee. I love a story that does that, keeps me guessing what is coming next, keeps me reading to see if I’m right. It wasn’t quite a five star read, I’m not sure why, but it wasn’t a can’t-put-down read, more one that was interesting but still easy to pick up and put aside for later. Still an excellent story though, and the next one – if its Trigg’s story – looks fantastic. Stars: Four and a half, excellent read but not quite the magic five. Trigg next I hope 😉 as that looks to be really fun! I found this book hard going in that so much of it is like reading a long monologue of thoughts, mostly willows. I so felt for that poor girl, she’s going to need lots of help to cope with the trauma her parents have put her and Asher through. He’s a cute boy but Rosie shields him from much of the hurt, nurturing and protecting him from his own parents. The parenting they received from Rex was safe but needed more affection, but Rosie’s parenting, full of on-the-surface affection was irresponsible at best, incredibly dangerous at worst. That they survived it was more a testament to Willow’s resourcefulness that their parents. I didn’t like Rosie, as a single lady she wasn’t carefree, more careless. She was single-minded, only what she wanted to happen was allowed to happen, and she shaped her world that way. It did make me wonder why she was like that, how she survived financially when she walked out of jobs at whim…I guess my practical minded self always figures on things like that. In the real world we just can’t do that and still have a roof over our heads, warmth, food etc. I didn’t much like Rex either, so rigid and set in his ways. There are people like him though, and once more there’s usually something in their upbringing that has made them have this irrational need for total control. You couldn’t have found two more opposite people. I could see they had an attraction for each other, someone so different from themselves but I reckon a few dates where Rosie doesn’t turn up, or is late, or dressed unsuitably, and where Rex annoys her as he’s too pompous, too overbearing and that would be the end of them. I just can’t see how they’d last more than a few weeks. But they do, and have two precious kids and that’s where the story gets so sad. The kids have to bear the results. Rosie’s parenting means No Rules, just Fun all the Way, and Rex, well, he seems to feel he needs to make up for it by having Rules, Lists, and No Fun. Rosie’s is all kisses, kisses, kisses and Rex doesn’t seem to know how to show affection. I could see he cared for the kids, loved them in his way, and I just can’t imagine in that case that he wouldn’t give them a hug and kiss, even if only sporadically. Of course the spiral of two such different parenting styles cause issues for the kids, and it was heartbreaking seeing it happen. I disliked Rosie when she was single, but she wasn’t hurting anyone ( except the poor saps who employed her), but as a parent she was a disgrace. It looks like all fun, but really its just Rosie doing what she wants, to be a parent that’s loved, to be a friend to her kids, and she’s not doing them any favours, and her behaviour becomes dangerous at times. Anyone who’s stood out at school for being different will know how cruel kids can be, I was a skinny kids, glasses, dark skin tone and that set me up for bullies. Nothing to be done about that, but Willow and Asher, Rosie turned them into victims by her careless parenting. 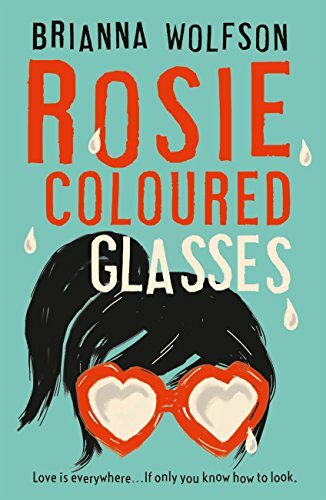 Things get harder for Rosie to deal with, she’s struggling with life before she has the kids and after, and then the divorce, well, its hard. I felt for her, she was clearly depressed, but dealing with it by getting more and more OTT, more manic, more outrageous in what she does with the kids. I was furious at her way of coping, who does that when they love their kids? To me it felt Rosie was a show parent, wanted them and others to see her as fun, but didn’t really care enough about them to deal with her issues, once more it was Rosie’s needs that superceded everyone else. You just know its leading to disaster….and it does, big time. Stars: Two and a half, a story I struggled to believe in, just couldn’t see Rex and Rosie getting past a few early dates. It had some harrowing events, some heartbreaking moments. I wouldn’t call it whimsical, that suggests light-hearted and this is anything but. Its well written but not want I want to relax with. I don’t read a lot of historical fiction, I’m fairly selective but this is the sort I really enjoy, a romance, wrapped up in a very real period realistic story about the people involved, the day to day issues and events that they undertake. Julia has a sad back story but one that was very real for the time, that affected so many people. Horrible times when people of colour were regraded as less, who had no rights, whose children could be sold like possessions. 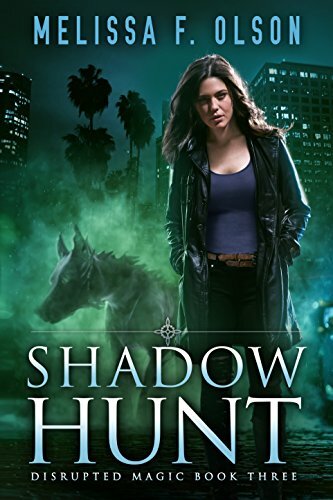 She’s determined not to give in to the under-seer, who routinely uses women for his pleasure, but knows the only way out is to run, and that if she’s caught the consequences will be horrific. 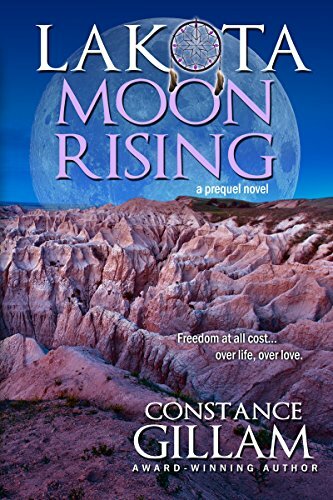 She is captured by Comanche Indians, and at that point I almost stopped reading as what happened was pretty gruesome….but I skipped some of it and then when she was traded to Trades with Horses the story really began for me. He’s a very foresighted warrior but battling not only the whites, who he knows will deceive the Indians, go back on their word, but his own people who simply don’t believe them. He’s fighting for their way of life but tragically he doesn’t stand a chance. When he sees Julia something in her sparks to him and he determines she will be his wife. Convincing her though takes time 😉 She’s set her heart on Canada and freedom. Will she give up that dream, or chose to stay with him. They undertake some perilous events, antagonism from white men and his own people in their quest to be together and its a story that I really enjoyed. It’s a shortish read, a 0.5 in a series but packs a lot in to the book. 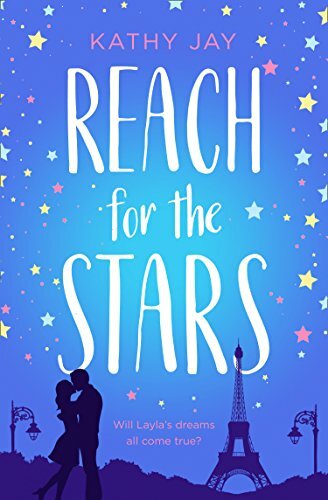 Stars: Five, a very genuine feeling story, heartbreaking at times but with a HEA – I do need those. 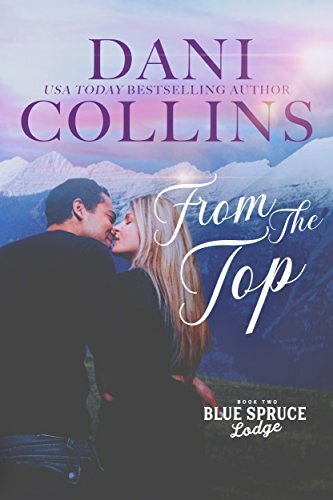 I’m a sucker for rock/film star romance, and Kristen Callihan and Kylie Scott are top of the genre for me….so this was an easy request. 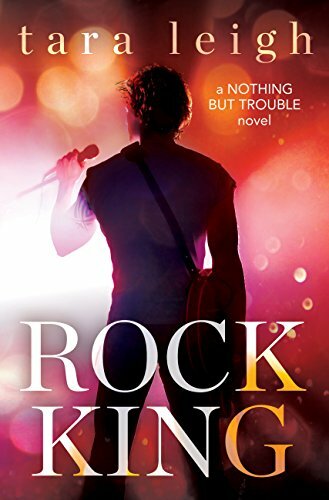 How did it stand up to those two paragons of fame books, the Queens of rock romance though? Well, to begin I struggled. Its a great start in that Delaney is the kind of heroine I love, broke, hard working and honest – well, apart from that one big thing of course…..
She’s busy at work when someone comes in who she knew from their school days, not a friend but someone who recognised her, and she’s with her boss, who thinks Delaney is perfect for his latest brief. Find a “girlfriend” for his client, rock star Shane Hawthorne. He needs someone stable in his life while touting to keep him off the alcohol/drugs fiasco. So far a serious of temporary girlfriends, NDAs and cash/chance at fame for them have done the trick. It has to be the right person though, and Travis thinks Delaney is perfect. I loved Delaney, understood why she did what she did, and why that decision haunted her. Its a hard thing to live with, and she’s desperate to make reparations, but of course with no money, in a poor paid job how can she? Shane too, I thought he was great. He knew his weaknesses and wasn’t going back, and so far the paid girlfriend has worked out. Travis his manager has come through every time. Delaney isn’t the usual actress, would be singer though, hoping for some of his fame gloss to rub off on her, she’s very different. There’s something about her though that Shane can’t let go, something that calls to him, makes his life brighter. There’s so much going on in the first half and yet it felt like nothing was happening once the initial story started. Its seemed to be Will She Stay or Will She Go….over and over. So many inner musings and monologues that I felt every bit of life in the story was being dragged out, chewed over, spit up and spoiled. A really danger of me not finishing this. That’s a personal view though of course, others love it as is. Then we moved forward and…I was hooked. Some great drama, some very real scenes, some tears, heartache, secrets laid bare and wow – that point where it all falls apart, the drama that I love. That was superb, and had the whole book been like the second half it would have been a five for me, but that slow, dull start pulled it down. I needed more action, more of the day to day things actually happening and less musing, questioning decisions, less of the whole should I or not stuff. 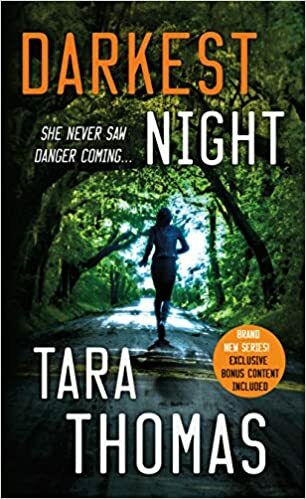 I certainly enjoyed Tara’s writing style though once things moved forward, and I look forward to more from the series. Stars: four, a really slow first half for me, but a fabulous finish. A debut novel and a great start for M.V.Ellis. There were things that niggled, but overall it was a terrific first book, and I look forward to more. Arlo, he’s brash, self opinionated, incredibly confident and a total rock star cliché, and yet under that there’s a real guy, who’s got some genuine emotions, who does care about his people, who has a strong sense of what’s right and wrong. 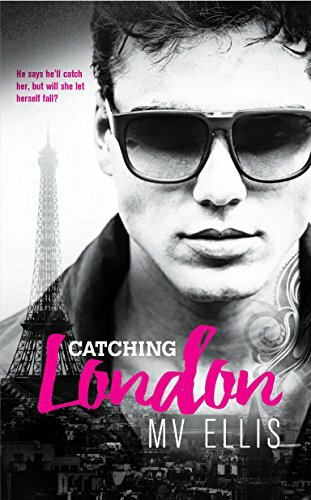 When he meets London – and what a meeting – he knows she’s special and goes all out to get her in a position where he can see more of her, get to know her and let her know him. Lucky for him she’s a talented photographer, which fits in with his plans perfectly. I loved Arlo, who couldn’t? He really is a solid guy, and determined London will be his. He has the money and connections to make that happen but he wants her to want it so treads carefully. London, had a sad past and was a sweet girl and I really felt for her and what she’d lost. Gah, the number of times I wanted to slap her though, blowing hot and cold, giving Arlo the OK and then changing her mind over nothing it seemed. Arlo could have got whiplash from the stop-start of their romance. I would have liked to understand Arlo a bit better, that’s where I love dual POV as it lets me see what characters are thinking and feeling, but I got a pretty good sense of him from his actions. London as I said irritated me so many times, I liked her but she was a bit too ready to pull the plug for no reason, and then in next breath all over Arlo. I’d have enjoyed seeing more of the secondary characters, we did in the first half of the story but they seemed to mostly sort of fade out in second half. I guess the thing that stops this from being five star for me is the long mental monologues London has going on, pages and pages and pages of them, and I felt the story was being told by this rather than shown by way of action and dialogue. Its me, I just like dialogue based books best. Not everyone does, but that’s what brought this down for me, too much telling and not enough showing the story in action. I bought book one when I saw this, that’s the story of Alex, Nick’s twin brother. Sounded the sort I love and was only 99p. Sadly though I liked it I wasn’t really convinced of the story, felt it was a bit meh, so almost wished I hadn’t asked for this. What a difference though, I love this story, full of drama and fun, laughter and heartbreak and with some very real feeling characters. I really didn’t like Nick in book one but now I saw a different side to him, saw the reasons for his behaviour and it made sense. Layla is a great character, one of those people everyone depends on, but its leaving her no time to do what she wants, pit herself first. When Joe does the dirty ( hiss, boo, what an awful man he is) she’s distraught, they’ve been together and she was thinking marriage and family so it came as a shock. Then Nick comes along and she sees what passion really is. It was great fun to see events play out, to see what starts as a no strings fling becomes more, to see Layla discover what real love is, let her see what she had with Joe was just a good friendship at best. Paris, great at first then heartbreaking. But we’d kind of guessed that would happen. Then the events after that had me amazed, how Joe rationalised everything cemented in my mind just what a jerk he was. I did feel sorry for Lainy though, an innocent caught up in his selfishness. Stars: 4.5, it was a really fun read, and I enjoyed it so much more than book one. I’m not sure I’d re-read, not for a very long time anyway but one I’m very glad to have chosen. I’d never read anything by this author but liked the sound of this. I really wanted to like it but…TBH it was a little too simplistic for me. Endora, I get why she lied about not having children, what parent wouldn’t when their child’s life is at stake but I didn’t understand why she lied about Wilfrid. Or why that event didn’t actually seem to matter. I though she was far too many times just TSTL. She’s ready to blame Aldric for everything – even while melting in lust against him…gah! I hate that. Personal gripe though, its common in paranormal reads so clearly others don’t find it an issue. She sees Wilfrid after ten years of being abandoned, no support, no help even when their child was dying and yet ignores the fact that she and the children are huge targets for bloodthirsty killers, skips out against all Aldric’s instructions to keep them safe, even when last time she did that the guard almost lost his life – and that time she just wanted some fresh air. This time she thinks Tallie ought to be able to see her dad! WTH? It’s an OK story, better if you can get past Dora’s stupidity and judgmental tendencies. The dragon and child thing was a good touch, and I liked Aldric and his family, and the whole dragon structure. I can see how this is going to build into a decent series if you like a kind of simple paranormal romance theme. For me I need a bit more depth, but the best sellers are dominated by books like this so obviously many readers love them, even if I want a bit more substance 😉 Horses for courses, reading taste is subjective. Just because this wasn’t right for me doesn’t mean others won’t love it. Stars: Three, OK but a bit light and Dora was a real Fail for me.